For a bright and successful career academic degree like Graduation or for that matter MBA is not enough one requires to gain specialized skills in Finance. This can be achieved by pursuing Short Term Certification Program in Finance. In India now various short term financial certifications are available. Certification courses that are available can be Local Certifications i.e. Certifications which are offered by local Universities or Bodies and there are certifications that are offered by Global Bodies. 1. They have international acceptance hence open job opportunities outside India also. 2. Their content is global and so the students pursuing these certifications is assured that they are learning the latest and best international practices on pursuing these certifications. 3. They are offered by organizations who have Global Presence and hence have more reputation among Multi National Organizations. 4. Many of the certifications have both the global content as well as some local Indian content giving best of both worlds to the students. With the increased specialization and even super specialization of the finance profession and evolution of financial markets comes the need for greater skills in your chosen area. 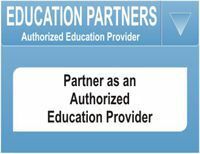 How useful a certification is to its holder and his or her employer depends upon one's area of focus and the rigor and scope of the certification. 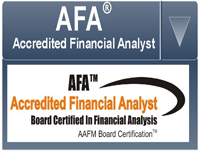 The Certifications in Finance can be grouped into two divisions on the basis of their focus area. 1. Personal Finance or Retail Finance: As the name suggests these certifications enable the students to deal with financial matters of the Individuals. Proponents of Personal Finance Certification argue that there are more individuals then corporates so getting jobs in personal finance is easier than corporate finance as one the number of jobs are more and secondly the entry requirements are not very strict. If you are an average student not belonging to the top percentile in IQ then go for certification in personal finance not corporate finance. The skill that you must be good at to succeed here apart from the technical skills is excellent people interface skills. Once the preserve of institutional money management, the CFA charter is now also sought after by financial analysts and equity research professionals. A CFA charterholder must satisfy ethics requirements, have at least four years of appropriate work experience and complete three difficult examinations in securities analysis and portfolio management. The CFA Institute's Council of Examiners keeps the curriculum relevant to the challenges of the marketplace and the evolving body of knowledge. Preparation is primarily through self-study. Though many institutes in India offer coaching program for CFA. The curriculum is at the graduate level. Most financial service employers list a CFA charter as required, or at least highly desirable. The cost for the entire program based upon 2012 rates is approximately $2,500. Please refer to the CFA Institute for additional information about the program. Professionals looking to a more holistic approach to personal finance planning may pursue the path to become a Certified Financial Planner™. The program deals with Financial Advisory, Financial Products like mutual funds and insurance, tax and retirement planning etc. To become a CFP® Professional, the candidate must be a college graduate, complete financial planning coursework or the equivalent, satisfy a three-year work experience requirement, meet professional conduct or ethics standards and pass 5 examinations conducted by Financial Planning Standards Board India.CFP® certification is often the route for fee-based financial planners who take a big picture view of their clients' finances. 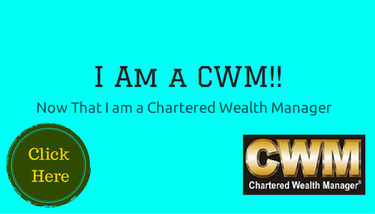 The CWM® Designation is the highest global designation in Wealth Management recognized globally in over 150 countries the designation incorporates skills that enable the participant to advise Individuals, Families as well as Corporate Entities to grow, maintain and transfer Wealth. 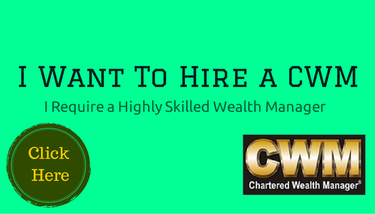 The designation incorporates both International Wealth Management as well as Local Wealth Management skills. 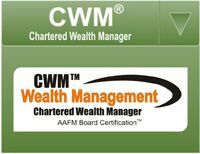 Although many professionals may call themselves “Wealth Managers,” CWM® professionals have completed extensive training and experience requirements and are held to rigorous ethical standards. They understand all the complexities of the changing financial climate and will make recommendations in the client’s best interest. The program has two levels a basic foundation level and an advanced level one exam for each level. 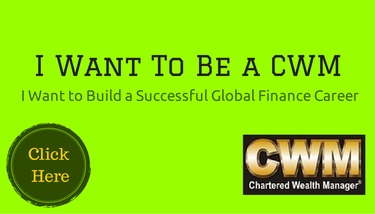 For more information on the program on can visit the CWM Website. With wealth transfer and succession planning becoming increasingly important for the High Net-Worth Individuals (HNI) certification in Trust and Estate Planning is increasingly sought after by Financial and Wealth Advisors. 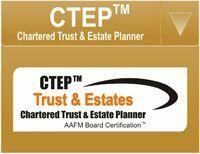 The Chartered Trust and Estate Planner is most renowned and Globally Recognized certification in Estate and Succession Planning. This certification comprehensively deals with all the aspects of Estate Planning like Intergenerational Wealth Transfer, Wealth Preservation, Trust Planning, International Succession Planning and International Estate and Gift Taxation. The Certifications incorporate both Global and Local content making it ideal for Finance Professionals like Wealth Managers, Chartered Accountants, Lawyers etc. With corporate finance or institutional services, the client is an institution such as a company or endowment/ pension fund. Analysts in this sphere of professional practice focus on big-picture issues of security selection, investment policy, performance measurement and risk management. These areas have been and continue to be the traditional preserve of the CFA Charter holder globally and the Chartered Accountant in India. Yet, in the past 15 years, two credentials of note have arisen to address subsets of the investment world. Administered and conferred by the CAIA Association since 2003, The Chartered Alternative Investment Analyst program grounds the candidate in the fundamentals and advanced study of managed futures, hedge funds, real estate, private equity and credit esoterica (credit derivatives and structured products). Candidates demonstrate their knowledge of products and their application over two levels, the former covering the terrain of products and the latter more advanced topics of study that build upon what the student learns at the first level. A significant part of the exam is an ethics component that borrows the CFA Institute's Code of Ethics and Standards of Professional Conduct. Each level is administered in September and March. The cost of the entire program is under $3,000 and takes about two years to complete. Work experience and continuing education requirements apply. Please refer to CAIA's website for further information. The Global Association of Risk Professionals (GARP) administers The Financial Risk Manager (FRM®) program and confers the Financial Risk Manager certification upon candidates who complete two levels of multiple-choice examinations in the discipline of investment risk management. Difficulty is at the graduate level. Level I emphasizes the fundamentals of quantitative analysis, markets and products, valuation and risk and foundations of risk management. Level II builds upon this foundation, focusing on market, credit and operational risks, risk management and investment management and current issues in financial markets. Created in 1997, the credential has evolved from one to two levels in the past several years in response to the financial crisis of 2008 widely viewed as a risk management boondoggle. FRM holders work for financial institutions, regulators and consulting firms. The cost of the entire program is approximately $2,000 and could be completed within two years. There is a work experience and continuing education requirement. Please refer to GARP's website for further information. To know what certification is most suitable for a Individual, the professional needs to understand what he or she does or is aspiring to do. Often, the right certification helps to close the skill gap and can lead to career and salary advancement. In today’s competitive environment, more than one may be appropriate and a means to make oneself that much more marketable in the ever increasingly complex and evolving profession of financial services. hello sir, i would like to join CWM , CIWM whats the difference of these two courses.Which one is preferred? and more demand. Give me the full details of such courses. Hi I have done MBA in finance and hve worked around 1year in private sector in finance operation bt now I want to do certification. Please suggest me . Hello, i did my MBA finance, PGDBM, M.com and now i working in a private sector with 8+ yrs of experience accounts and finance. Now i would like join in some certification courses which add up to my career growth relating to accounts and finance. please suggest. i am doing MBA in finance i would like to do certification . please suggest which is the best certification . I have done B-Com in Finance and then MBA in business leadership. I have been working for past 6 months in sales. But I want to change my domain and make a career in Finance. I want to go ahead and start working as Finance Analyst. It would be great if you give me suggestions regarding the same.